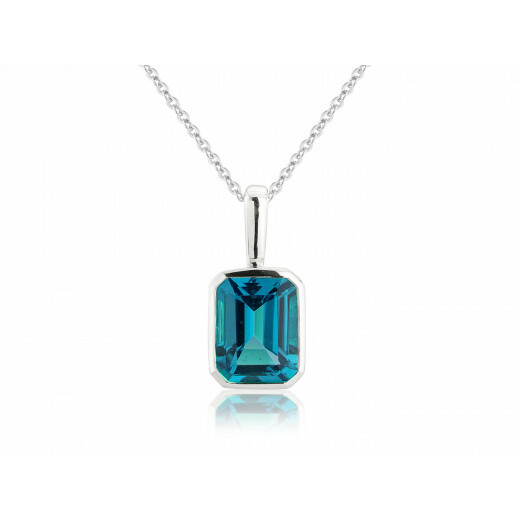 9ct White Gold London Blue Topaz Octagon Pendant on a trace chain. 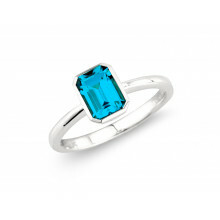 The 8x6mm, 0.92ct London Blue Topaz is wrapped sumptuously by White gold. 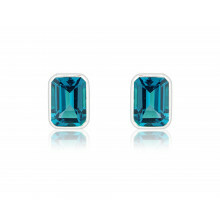 Blue Topaz is the traditional stone for the month of November. Stone properties include courage and wisdom. Pendant is supplied with a delicate trace chain with a length for 16" which is extendable to 18" with bolt and jump ring clasps. A lovely gift for a Scorpion. We also do a ring to match.